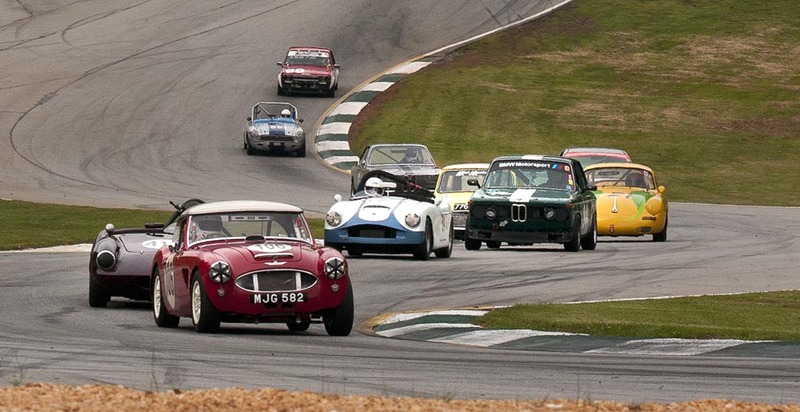 Here’s some practical advice from our friends who know all about these classic Jags. One of the biggest problems on these cars is the fuel system. The tanks rust out. The changeover valve fails, which causes the fuel pump to leave one tank empty and overfill the other. This makes fuel leak out through the vent system. The headliners come apart, too, because the foam padding placed between the cloth and the fiberboard breaks down. The right way to fix this is to replace the headliner. If you try to glue a headliner back together, use a high-temp glue: Roofs get very hot, especially in the South and West. Ordinary glue will fail quickly. Bushings age out on these cars and make the ride rather sloppy. However, if the car is well cared for, the ride and handling are crisp and comfortable. I know everyone will say the later Series III cars are best, but the late- 1990s cars are very, very good cars. I basically run a stock AJ6-generation motor in both my race cars, and they are so reliable and inexpensive to run— they just do not fail. The four-valve is an amazing engine—light and compact— and the fuel injection is totally reliable. I think that the Series I cars, especially the Daimler versions, are the coolest. The vent windows and the chrome horn grilles are so English. You just have to get used to the old cast-iron transmissions, as they clunk, bang and slip—and the funny part is that they are supposed to do that! The main issue with any Series I, II or III XJ6 was always fuel contamination. The trade-off of having the “cool looking fuel fillers” on the top of the rear deck wasn’t worth the backside problems of water, dirt, rust, vandalism and other fuel system complications which plagued the XJ6 from the beginning all the way up to current models. Even the single- tank cars had water issues in the fuel. On early XJ6s, look for rust in the rear valance and around the front and rear windscreens. Pop the hood and look to see if it has a tappet hold-down kit on the cylinder head. You can see it if you look into the filler cap. If this kit is present, then the car has probably experienced a failed catalytic converter or an overheated exhaust somewhere along the way. There is a right way and a wrong way to install a tappet hold-down kit, and if it is there, usually the head has had work done to it. That kit is not installed just for the heck of it. Look for issues when you see work done on a head. Are the tappets loud? If so, hopefully there isn’t any gasket material poking out of the cam covers. When it is, you can bet some little pieces are also floating in the motor oil—or worse, blocking an oil passage. Stay away from a car with nonprofessional- looking headwork. See if the heat and a/c work. If they do, that is a total bonus! The repair to that system is expensive and complicated. Make sure the emergency brake works. The sedans really need the system to work or it will not hold the car for inspection. Rebuilding the emergency brake system can be costly. There are four things that often break on a Series III XJ6: the cruise control, air conditioning, window switches and fuel changeover system. When it comes to modifications, the first one would be to install XJS wheels; they are half an inch wider and are a welcome addition. If you can find them, later 16-inch XJS wheels are even better. 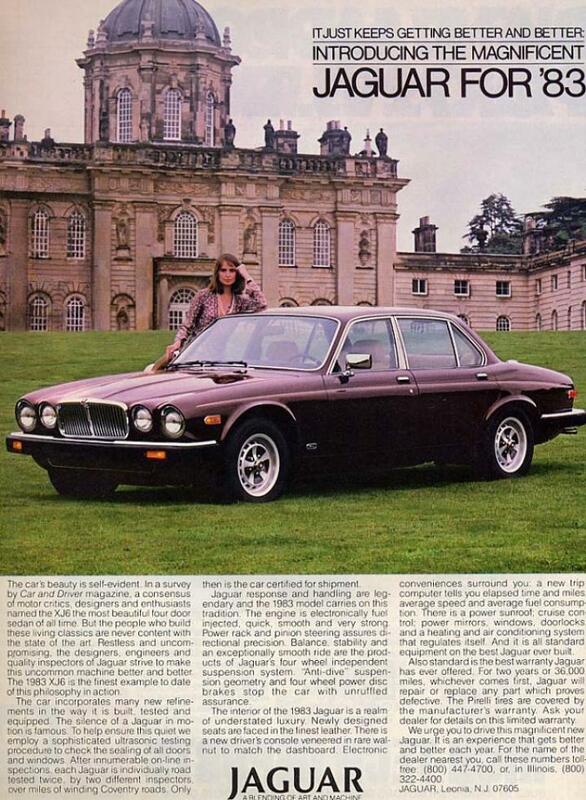 Then, if you dare, add a rear anti-roll bar, which totally transforms the han- dling of the Series III XJ6. On the later cars, call AJ6 Engineering and put in a reworked ECU. And lastly, if you have the time, any Jaguar sedan can benefit greatly from a urethane suspension bushing kit. If you look, you can find some 1996 cars without traction control—nice, simple cars that are very reliable, very comfort- able and a good generation. Everything usually works, the transmissions are bulletproof, the AJ16 motor has more than 250 horsepower, and the car is very quick and runs on regular pump gas. I like the 1983-’87 Series III models the best. I do not like the 1988-and-newer XJ40, which is a totally different car. My wife has driven an early car every day for 25 years. It’s a Series III that gets 20 mpg. The 1983-and-newer cars have a taller 2.88:1 final drive—compared to the 3.31:1 found on early cars—and get even better gas mileage. Rust is the biggest problem on these cars, especially in the Northeast. Look at the rockers and front and rear wheel wells. The chassis can also rust, and when it’s allowed to get very rusty, the rear radius arms will pull out from the chassis. The engines and BorgWarner transmissions hold up very well with an occasional tightening of its bands. Thanks to its aluminum head, an overheated engine means you’re dead. The good news: As long as the stock cooling system is in good shape, you should have no overheating issues. Like most British cars, these leak some oil around the rear main seal, cam covers and front seal. They’re priced nicely. Expect to pay $3000 to $5000 for a decent driver, $6000 to $8000 for a show car, and $10,000 for the nicest one in the country. The Series I is the prettiest and the most nicely finished model from the range. However, the Series III is likely to be the most reliable. I find them all the time with worn-out suspensions and like to install polyurethane suspension bushings and GAZ shocks. For my tastes, these modifications offset the too-soft nature of these cars. For most drivers, though, just getting everything on the chassis back to stock and in good working order makes for a very pleasant car. Keep an eye on the cooling system. Neglect will kill an XJ6. This is going to sound ridiculous, but I recall the article having two cents from someone who basically had a "favorite XJ6 recipe" along the lines of starting with a Series 2 (or 3?) and doing some backdating? Wondering whether something got clobbered in the move to digital; you can see that Dean A. Cusano's block of tips got partially duplicated... Anything else lost in transition? My personal preference is the series one. Elegant in a very classic sense ( without need of rugged rubber baby bumpers) Shorter means it’s a tad bit more nimble. While the later cars had more rear seat room I prefer the pleasure of driving to that of being a passenger. Mechanically the hardware on the V12 sedans and XJS, bolts straight forward onto the XJ6. Thus potentially improving the sporting character, braking of the car. The cast Iron 4.2 is better with the later Fuel Injection heads and fuel injection although the earlier carbs while simple suffers from fuel mileage and loss of horsepower. If butchery or poor maintenance has the engine beyond salvation there are countless good sound engines to be found from sources including other XJ6’s suffering from the dreaded Tin worm or victims of the dreaded butchery of engine transplants. Parts are not always available new but are frequently available used from a variety of sources. Nothing to add but the fact that those cars have always been beautiful. Sadly, they are underappreciated. A friend has a concours level early Mk 1 and has found that they aren't worth much and there are very few people interested in them. Nice drivers, though, if you can find a rust free example. I quiet agree. Sadly unappreciated, when they are very nice ridding/ driving cars that are both smooth and quiet. The early MK1 has simple carburetors that with just normal maintenance gives decades of pleasure and class. Fold down the little built in picnic tray and dine in style and class while the poor people sit on grass fighting the ants and other crawly things. No they aren’t the fastest thing out there with just 210 horsepower and 4600 pounds to carry around but we don’t enter our elders in a footrace do we? Performance is best described as sufficient. That's about what I've found online, but on the other hand car weights as quoted by the manufacturers typically are dry weight - no fuel, no coolant, no oil, just the car in its barest form. Actual weight in real time use is going to be more. Simply going off an admittedly less than perfect memory. 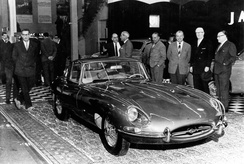 I looked it up, The XJS is 4656 pounds in the later ( post 1978) configuration with the XJ12 at 4300 pounds. I'm crossing my fingers that Haynes has flubbed this bit. In reply to Ransom :I don’t think so. The cast Iron 4.2 engine designed originally during WW2 with an extremely long stroke ( 4.17 ) weighed about 660 pounds and a cast Iron case automatic transmission originally used in post war Oldsmobile’s etc. is just heavy. The bare front crossmember is over 220 pounds and is designed to take all that weight and isolate it so no road noise or vibration is felt by the driver. The rear end assembly was designed in late 50’s using the big heavy Dana 44 rear end with two swing axles and 4 shock absorbers. The whole assembly weighs around 500 pounds at an estimate. So swapping in the later Jaguar all aluminum 4 valve per cylinder 4.0 liter six cylinder with it’s much more modern ZF transmission will get you an additional overdrive gear, another 40 horsepower but only save you a little over 300 pounds. Incidentally, swapping in a Chevy small block from the 70’s, 80’s, early 90’s will achieve about the same. ( power 190-240 ) and weight savings) but among collectors such cars are called lumps and only worth parts. They don't seem to have a lot of monetary value either way... Which is good news for actually acquiring and driving one! Anyhow, it's a dang shame. It's just too heavy to be anything but a comfy cruiser, and the shape and the promise of pace to go with the grace and space just suggest so much more. There is one alternative. The Jaguar V12 has 284-314 horsepower compared to A Chevy V8 of the same era with as little as 160-210 And the All aluminum V12 is 30 pounds lighter then the Cast Iron Six. While you are doing the swap you can add a smaller more efficient Japanese Sanyo air conditioner and save weight over that heavy old York. Later V12 use a much smaller, lighter gear reduction starter and other weight and space saving moves. 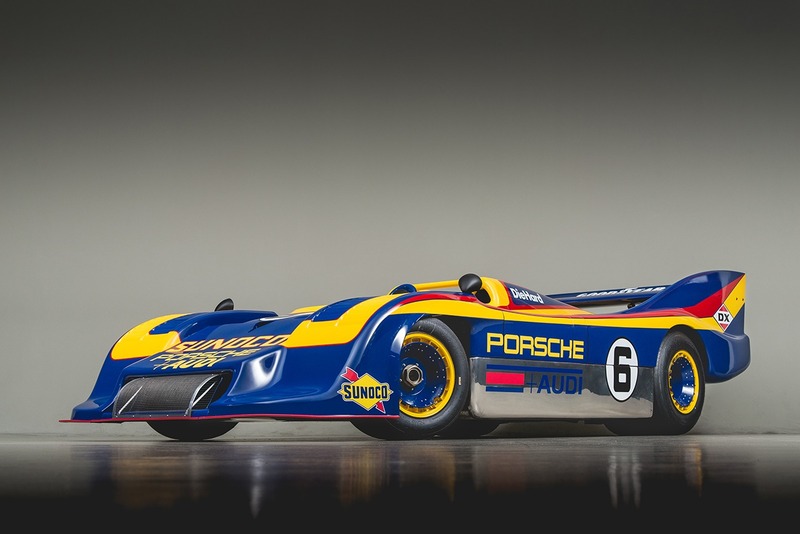 Finally if 300 horsepower doesn’t seem sufficient then toss a couple of little T3 turbo’s under the front fenders and now you are in the 500 horsepower range.